Overview and brief summary of our international overland trips. To read our reports either use the drop down menu above or click on the relevant map below. Late August/early September 2009, a 18 day trip across historic military mountain roads through the French and west Italian Alps. A slightly different approach with this one. I have volunteered my services to the MAPA Project (http://www.mapaproject.org/) to help map routes and way-points (using GPS) within national parks and protected areas in West Africa. The project has currently been running for some time with south and East Africa having already been carried out. We are picking up the tail end of the West Africa project across some of the most difficult countries as the ground conditions of the parks are unknown. The project will run from mid-March to mid-April and we will utilise a Land Cruiser for the 5 week duration. A 9 month overland journey heading north into the Arctic Circle to Nordkapp in Norway to witness the northern lights before descending on Eastern Europe and the Caucasus region. Onto Central Asia and across the Pamirs with passes over 4500m and the deserted plains of the Kazakh Steppe. Into the Altai region of Russia before the long march southeast to the Gobi Desert in Mongolia. Turning back north into Siberia for the final test along the BAM route and the infamous ‘Road of Bones’ finishing up at the far eastern port of Magadan. A rather unconventional trip compared to previous ventures. Co-piloting another Defender 90 to support two adventure bikes across the Simpson Desert via the remote Hay River Track. 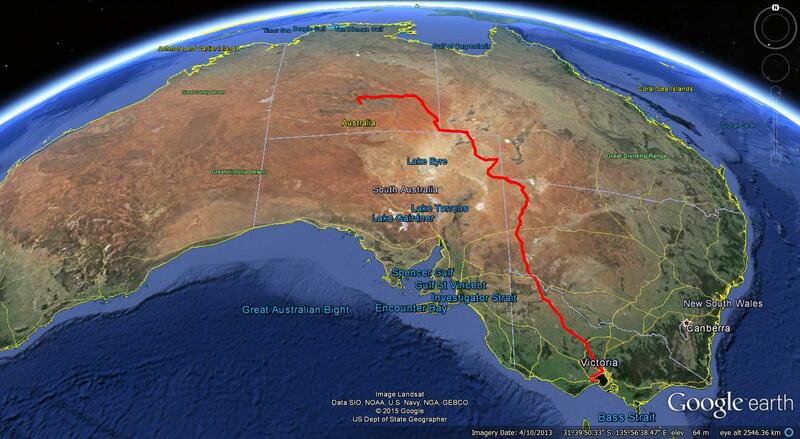 From Broken Hill to Innaminka, Walkers Crossing to Birdsville. Across the Simpson to finish up in Alice Springs. We will be taking our Land Rover Discovery from Geelong Victoria, through Adelaide and Coober Pedy to Alice Springs in the Northern Territory. Returning via the West McDonnell Ranges, Kings Canyon, Uluru, Oodnadatta Track, Lake Eyre, Gammon Ranges and the Flinders Ranges.